Additional drilling and machine processing of parts to meet special and unique applications. In-house grinding, cut and finish capabilities to supply parts to the exact specifications of your particular application. A fleet of trucks to assure timely delivery of urgent and time sensitive orders along with convenient to-your-door service. We make it simple to place an order for any part, at any time. 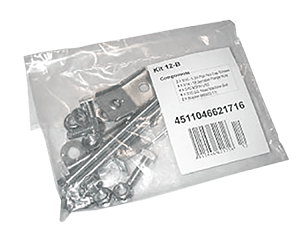 Pre-assembly of kits of varying sizes of bolts, nuts, screws, washers and other fasteners commonly used in your operation. Packaging of parts with your internal part number, barcoded and readable, to monitor traceability and simplify invoicing and paperwork. Multi-part kits assembled and labeled to your exact specifications, saving labor and cost to receive, pick, organize and account for inventory.